By Allen Fox: The Showtime card on January 31st has been cancelled due to 37-year-old light heavyweight contender Zsolt Erdei (33-0, 18 KO’s) suffering a hand injury in training. He was supped to be facing IBF light heavyweight champion Tavoris Cloud in the main event of a card that also had Guilermo Rigondeaux facing WBA super bantamweight champion Rico Ramos in what would have been an excellent fight. 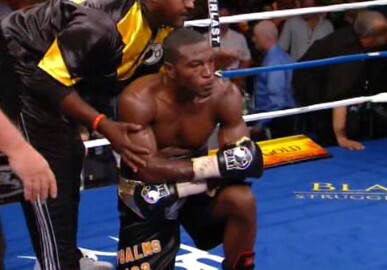 Showtime is looking to still make the Rigondeaux-Ramos fight, as well as Cloud vs. TBA in 2012. Gabriel Campillo volunteered to step in and take the fight against Cloud. It’s unclear why Showtime didn’t elect to take him as a substitute, because he’s about as good as Erdei at this point in Erdei’s career. Perhaps Showtime liked the idea of Cloud facing an unbeaten guy in Erdei and wasn’t going to get that with Campillo, who has lost three times in his career. I’ve seen Erdei plenty of times and have never been impressed in the least with him. In his prime when he held the WBO light heavyweight title, he was a fighter that threw a lot of jabs and fought a bunch of obscure contenders in Germany. I never once saw Erdei fight anyone that I consider even slightly good. It’s fair to say that Erdei was a paper champion from 2004 to 2009. Just awful competition was fed to this guy. Had they put him in with the likes of Chad Dawson, Bernard Hopkins, Roy Jones Jr. and Cloud during some of those years, Erdei would have been beaten. Two years ago, Erdei beat 40-year-old WBO paper cruiserweight champion Giacobbe Fragomeni by a close 12 round majority decision. Rather than defend the title against some of the good contenders in the division, Erdei gave up the title. I think he would have badly beaten because he looked fat at cruiserweight, but had the perfect champion for him to win the title against. Showtime can do better than this guy, and they should have went with Campillo vs. Cloud. That guy can still fight and has taken some quality fighters during his career.